In case you haven’t noticed lately, there seems to be an Australian pop-punk renaissance amongst us. 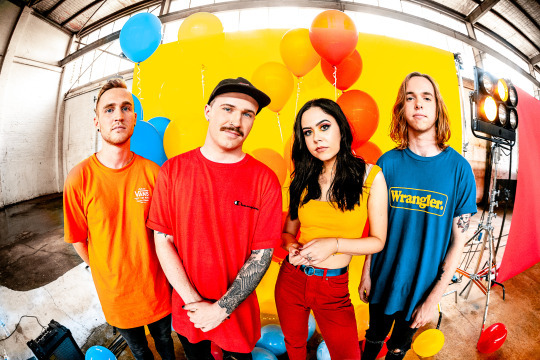 With bands like With Confidence, Stand Atlantic, Between You & Me, Eat Your Heart Out and The Faim following in the footsteps of more well-known acts like Tonight Alive and Trophy Eyes, it’s clear that the Land Down Under is becoming quite the hotbed for emerging pop-punk artists. Another Aussie act to add to the list of breakout bands is the fantastic female-fronted four-piece Yours Truly. Combining early Paramore influences with big infectious hooks as heard on “I Can’t Feel,” “High Hopes” and “Circles,” Yours Truly produce a sound you just can’t get out of your head – which is a good thing, by the way. 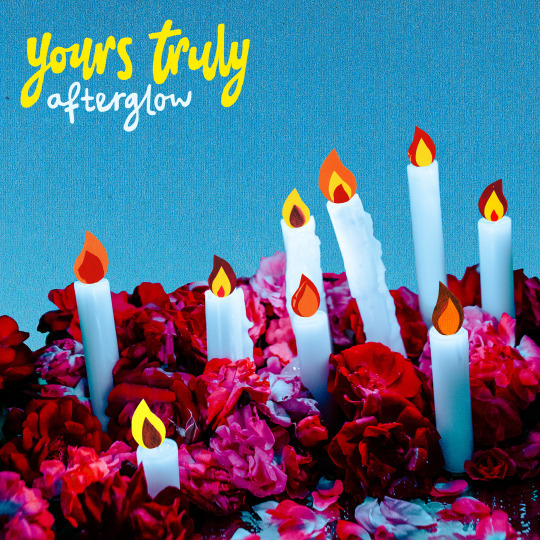 For their new five-track EP Afterglow, the up-and-coming act take everything from their debut release Too Late For Apologies and amplify it tenfold with revamped songwriting, bigger choruses, and songs that will just make you feel all types of ways. Giving The Noise an exclusive look into their brand new UNFD release, frontwoman Mikaila Delgado has provided an in-depth track-by-track write-up detailing what each of Yours Truly’s five new songs are all about. To check out what Delgado had to say while you stream the band’s new EP in full, be sure to look below. Afterward, make sure to grab a copy of Afterglow here. This is about realizing someone you had been relying on was just letting you down and you’d have to let them go to take care of yourself. Sometimes people portray themselves to be the complete opposite of who they are, and it’s disappointing to realize they’re not who you wanted them to be. This song is about how people live in their bubbles, turning a blind eye to the world and its possibilities whilst looking down on the people who are chasing their dreams. It’s a big “F you” to the people who didn’t believe in us or have put us down. This song is about being emotionally unavailable in a relationship and feeling like you can’t sustain it long term. It’s when the initial feeling fades and the inevitable guilt and possible regret sets in.